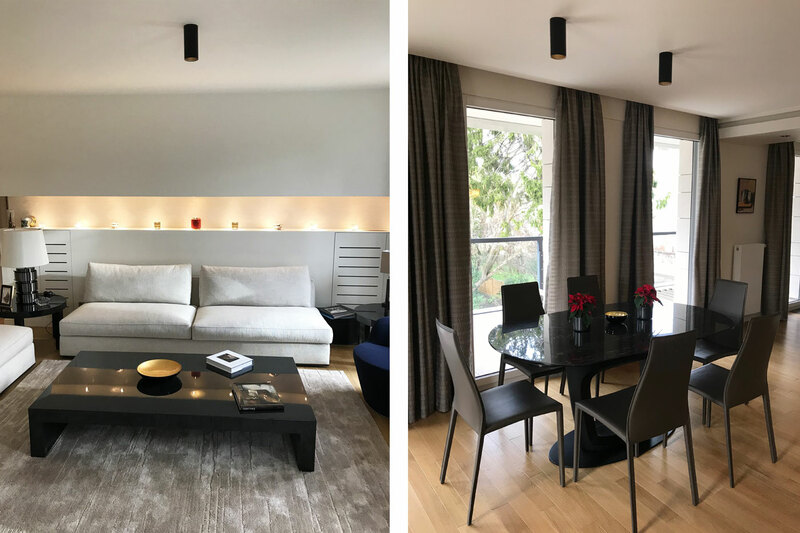 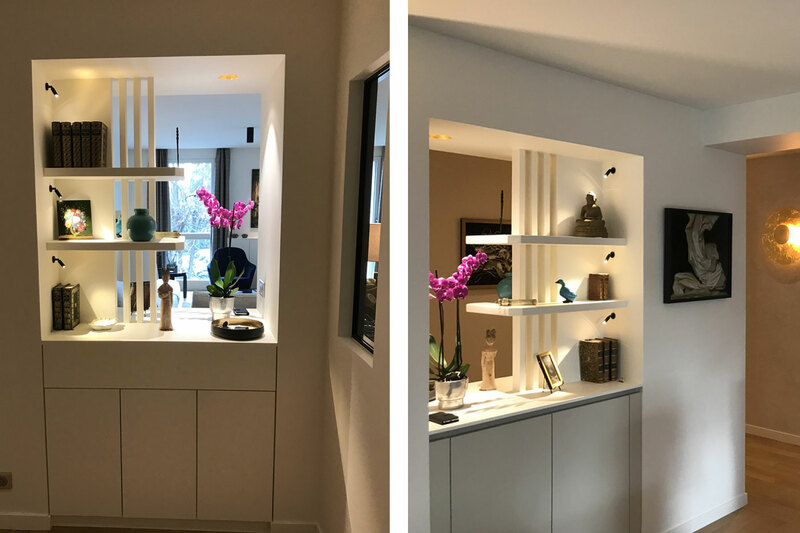 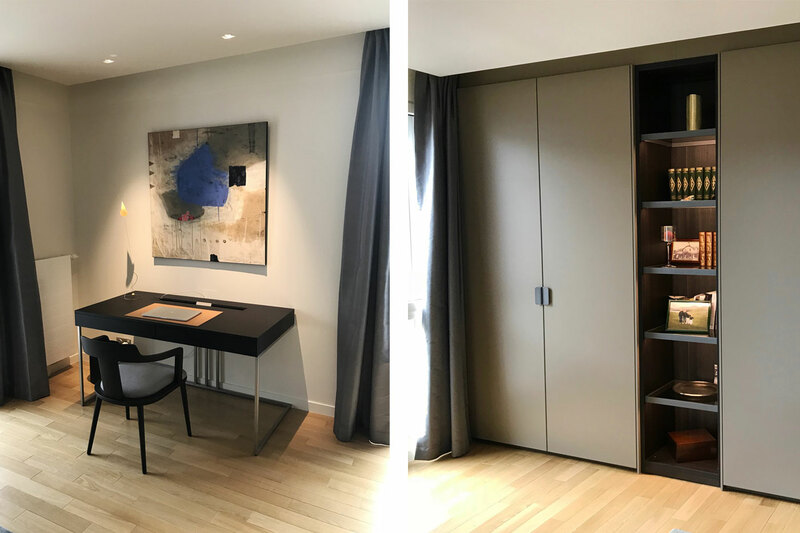 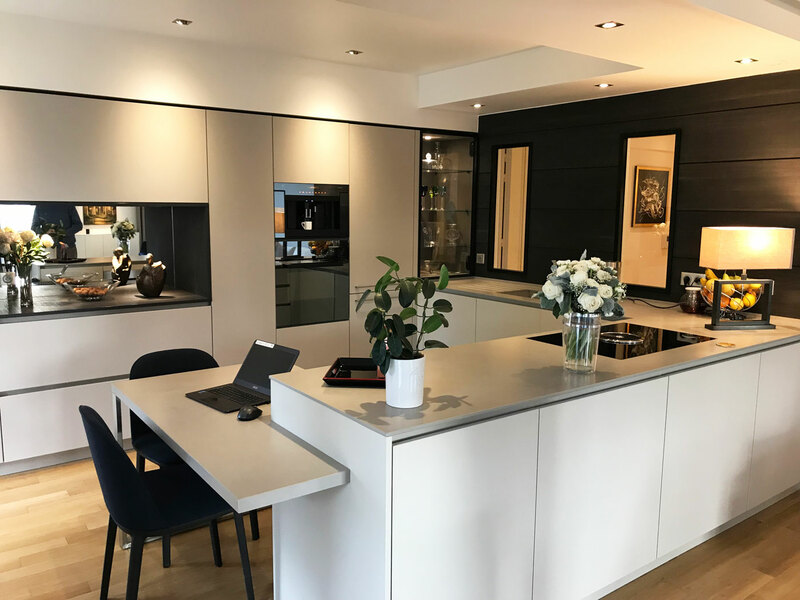 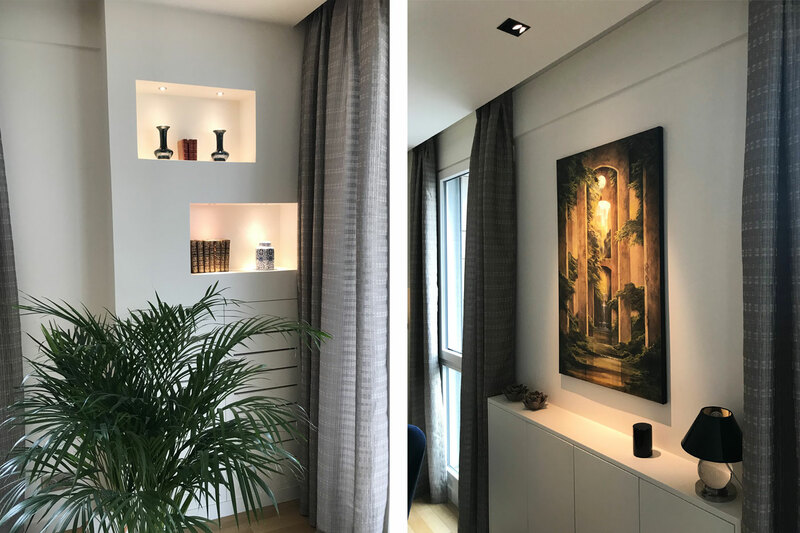 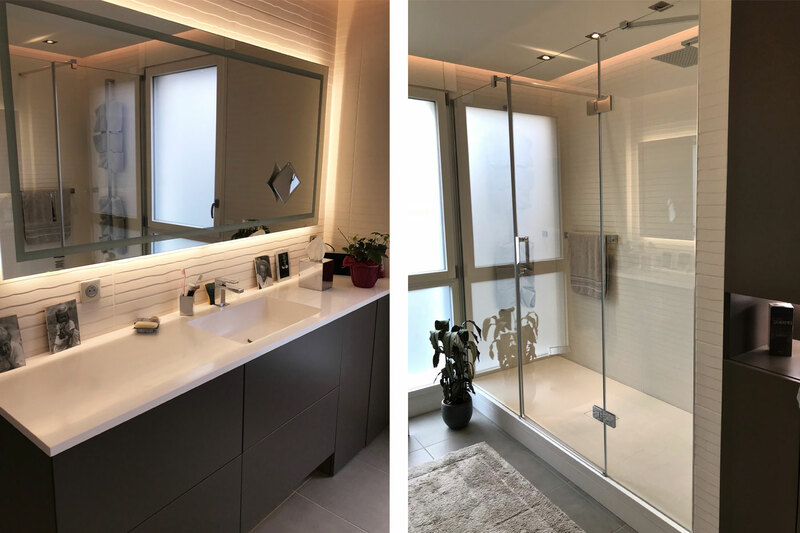 After buying this new flat of 100 m2 to be used as a pieds à terre in Paris, the owners gave us the mission to design an elegant, contemporary and timeless high end decoration. 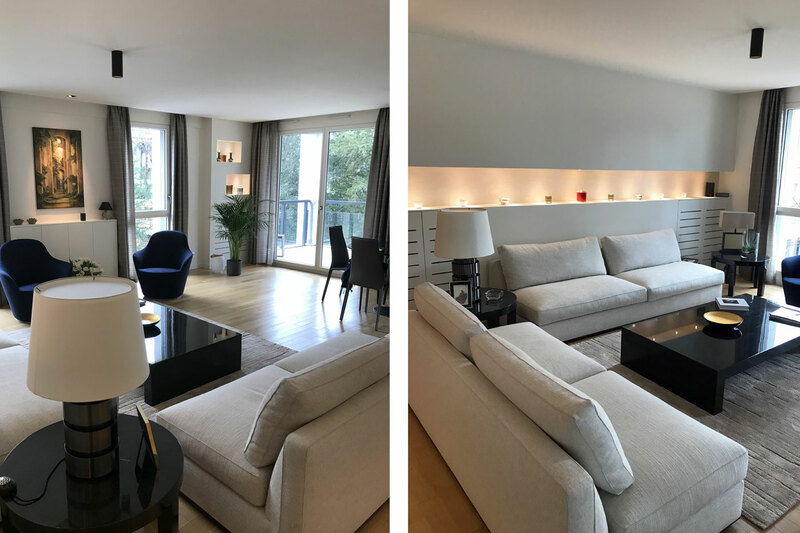 The design of light and bespoke furniture were the key words of the decoration, in order to sublime the italian designer pieces. 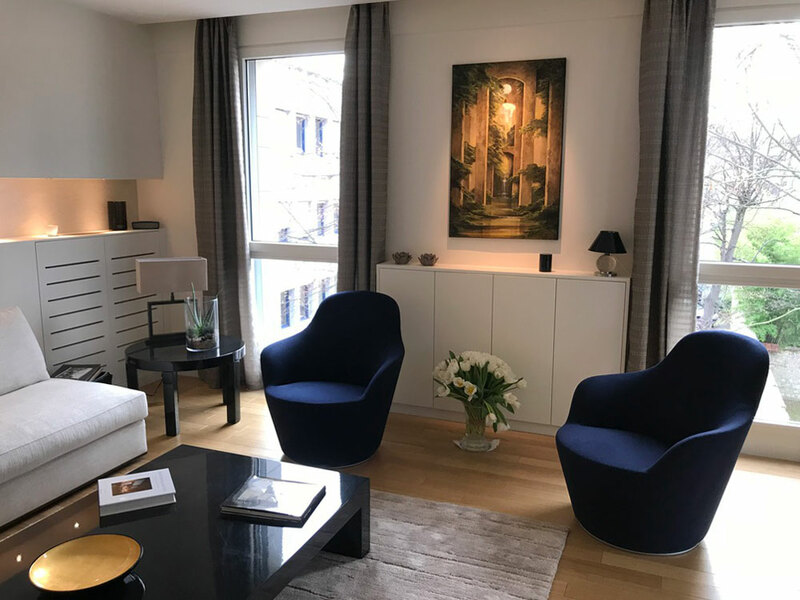 The result: A cosy and elegant pieds à terre.